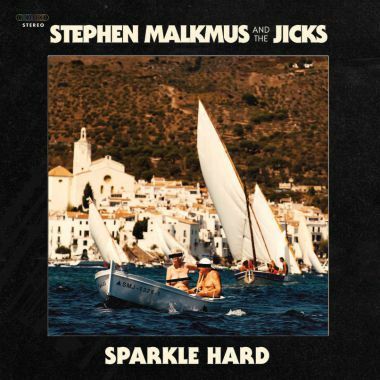 Stephen Malkmus returns with his seventh album with his rockist band the Jicks. Cast Off opens with plaintive piano chords before big, bludgeoning rock guitars come in. These are knotty, complex songs. Future Suite and Rattler have many twists and turns within each song, with the former featuring some excellent guitar work. But they are more tracks to stand back and admire than truly enjoy. You’ll appreciate the musicianship and changes in direction without truly loving these songs. Later, Kite is all over the place, shifting between four or five different melodies without really dwelling on any of them. When they simplify things the album works better. Solid Silk is a more understated synth-drenched track featuring Malkmus’ inscrutably odd lyrics (“scratched out a doggerel verse or two”). Middle America is even better. Opening with a simple strum, it’s not a million miles off your favourite mid-album Pavement song off Crooked Rain, Crooked Rain or Brighten the Corners. And Refute, his duet with Kim Gordon works really well. Recapturing something of the feel of Pavement’s Range Life, the countrified ballad suits both singers really well, feeling like a previously-ignored Malkmus classic. These songs feel effortless, and a lot less laboured than some of the rest of the material here. There are a pair of more direct rockers. The simple insistent Stones-y riff behind Bike Lane sticks around for the entire song, while Shiggy is like a rocking version of late period Bowie with another big riff. It’s probably the catchiest tune here musically without much of a discernible chorus to sing along to. So in common with Malkmus’ most recent albums, this is messy, complex guitar rock. Those hankering for simpler, more Pavement-like material will be disappointed. You’ll listen to these songs, admiring them without really understanding why. But you won’t miss any of them too much when they’re gone.